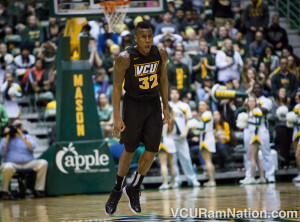 Graduating Senior, Melvin Johnson, is garnering interest from the NBA as the draft nears. Keith Pompey, of Philly.com, is reporting that the Philadelphia 76ers will work out Johnson today. The 6-foot-4, 190-pounder will replace North Carolina State point guard Cat Barber, who suffered a bruised thigh Thursday at the NBA Draft Combine in Chicago. If drafted or picked up as an undrafted free agent, Johnson would join fellow Rams, Briante Weber (Miami Heat) and Troy Daniels (Charlotte Hornets) in the league.